The answer is yes. 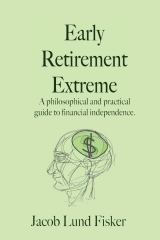 Although extreme early retirement is still quite rare there are more people out there that retired in their late twenties and thirties (I do not consider forties extremely early, that is “just” early) than the few famous examples would suggest. Hence early retirement is a realistic proposition for those who desire it. This equation is much more important than absolute numbers. For instance, if you have $500,000 saved but this is due to having flipped a house for a $200,000 profit and having earned a salary of $150,000 while spending $120,000 for the past ten years, the equation does not hold, because 3% of $500,000 is only $15,000 which is far from $120,000. With these numbers, you are rich, but you are not wealthy; primarily, because with an annual expense level of $120,000 chances are very good that you do not possess the knowledge and attitude to live well on $15,000 a year. Now, you can solve that equation either by reducing your expenses or by working longer to save more money. The most common problem in solving this equation is to spending most of one’s income like in the example above. This means that expenses are high relative to the income and that savings are low relative to their expenses, at least until you’re at least 50 years old. In general, most people’s expenses match to their income regardless of how much they make. To retire early, you have to avoid this. This means living on much less than you earn. Living on much less is entirely possible. This is not done by a few cost cutting measures; or even a great many cost cutting measures. Cost cutting, especially when it is done to something close to your heart, like, say, your lawn, or your patio furniture will hurt. Instead of downgrading, choose to live differently. Do not accept a second-rate lawn or a second-rate car. Dump the lawn and a car entirely, and live on cruising sail boat or in an RV. Or rent a single room, or get a bigger place but live with others, perhaps your family. Travel the world by visiting your international friends instead of resort hotel staffs, though I’m sure they’re nice people too. Develop an inexpensive but sophisticated taste. Here, you must be creative and creativity stands in direct relation to your quality of life. Creative retires do lots of stuff. Some hang out on their sailboat in the Caribbean, some buy a house in Argentina, some compete semi-professionally in their favorite sport, some travel around, others tend to their garden, or read all the classics. If you can not be creative or feel you must live a “normal life” characterized by driving, shopping, and paying bills, extremely early retirement, which can hardly be considered normal, can only be achieved by either winning the lottery or by downgrading your “standard-of-living”, shopping with coupons, buying cheap things you don’t really like, putting an egg-timer next to your shower, and that is no way to live. Extreme early retirement also means taking a different attitude to things. Some people, typically the busy ones, generally want everything to work and if it stops working they will pay for someone else to fix it for them. This is because they themselves either have no skills or lack the time to fix it themselves. Others take pride in being able to fix a broken pipe, a broken engine, put in a new floor, and so on, and consider it a hobby. In turn, they do not pay other people to work for them and so they do not have to work themselves. Early retires are generally fairly competent people who can do a lot of things on their own. It is also often the case that if they can’t they know someone who can. They have a wide network of people from many different backgrounds unlike specialized workers who mostly know other specialized workers in the same field. Obviously, it also depends on your attitude towards work. Perhaps writing reports and finding ways for your company to market a new product made overseas to consumers is a fulfilling and appealing way to spend your life. Perhaps it is not. Perhaps you find it motivating to spend your life striving for that corner office, or maybe the office with a window, or a 5% annual raise. Or maybe you have other ways to feel accomplished? Maybe you use your work as a social outlet? It is certainly a lot easier to find young people at their job between 9-5 (and outside of those hours they are usually tired), but there is a significant number of people not working all week. Not as many, but they are there. And no offense, but they are generally more interesting people than the workaholics who only know their work and the current top five shows on TV. The main question you should ask yourself is thus not whether you have enough money, but rather whether you can envision yourself living an unconventional life outside the boxes that most others live in. If this is the case, the money to do so can be earned fairly quickly. The challenge is mostly in the mind, and so this is the real question you should be asking yourself. Can you be happy without doing what everybody else is doing? 69 users responded in " Can I retire young? " @jaybradfield – There’s an 80/20 rule for this. For instance, someone who’s retired would likely consider himself so even though he doesn’t have a chauffeur to drive him around instead of doing his own driving. On the other end of the spectrum we have a 100% self-sufficient farmer who must work a lot to live. You’re right in pointing out that DIY should be compared to working and simply paying someone. In many cases, I can save several hundred dollars an hour (e.g. a $200 mechanics problem that takes 10 minutes to fix) and so I DIY. In other cases, it makes more sense to work and buy. In general, the more skilled you are, the higher your hourly wage, but that goes for all things. In many cases, spending time on learning DIY has a much higher ROI than time spent on further education to increase your compensation, you’re much more likely to be close in terms of the law of diminishing returns wrt your specialization than in spending two minutes in learning how to save $5 by making your own window cleaner … corresponding to $150/hour. my comment is, it’s good to retire young it gives more time to spend with your kids and family near and far. it also gives that person time to stop and breath, maybe take on a different career path, ro go back to school. This post really got me excited. I never thought retiring early was even a choice, I’ve been indoctrinated from an early age to work as hard as possible until I retire at age 65 – what a disgusting way to live! I’ve now seen whats possible, I’ve really opened my eyes and I’m using all of my free time to plan and earn my early retirement! Thanks for sharing Jacob. Well said, and thanks again for bringing up scenarios not found in main stream PF magizines and blogs. Many people cannot fathom living outside of the boundaries established by society and advertising. There is a world outside of the Matrix. One can live in it and not lose out on a happy and fulfilling life. I fight hard each day to control family expenditures. Having a wife (who does not work) and a teenager makes extreme retirement impossible. Damn it, In fact it makes a normal early retirement almost impossible. But I figured a way. Once the kid goes to college my wife and I can move to Thailand and retire at $1200 per month without the wife making too many sacrifices or divorcing me. Big fan of Jacob and readers if this blog. Socratic, there’s places you can live in the usa for $1200 a month. for instance, at my current level of spending; i could retire today; but i like what i do well enough and i get benefits 2nd only to a teacher; so i’m just ramping up my savings. but if i retired today, i would probably move to lake conroe texas that has some great golf course communities. there’s things to be live in there that i could probably keep my spending under 1200(1500 currently) and still have Houston as a resource(med center, airports). i think if you look, you can find something near where you live. When I worked in semiconductors, I remember thinking rather than the annual salary raise I would have been more motivated by an annual hours cut. That would have been a real motivator! But typically in that industry increased seniority just meant longer hours and more difficult work. They had it all wrong! Being an employee contrasts hugely to the situation where you have your own business or are self employed, where your increased productivity or skills would allow you to get the same amount of work done in less time for the same pay. The premise of getting paid by the hour is deeply flawed and very demotivating. In fact, with such a stupid system the more effort you put in the less you get paid for each unit of effort. It’s just not scalable. Hence I fired the idea of a “career”. After following ERE principles I am now financially independent and my “work” becomes more scalable and efficient every day. This applies particularly to having more time to do things myself, avoiding multiple stages of tax. Great post. I’ve typically been glommed onto the 4% number. I’m itching to fire my job. I’m 52. My eight year younger wife still works, and we have a young child. We’d take down expenses a bit, but savings would be hard to come by. My goal would be not to touch the nest egg until she dumps out of work in about 6-8 years. Then I’m 60. Then we’d take down expenses moderately more. Then I think we could indeed swing the 3% thing. The benefit of not touching that nest egg for …. let’s say….nine years … is that at 4%, the nest egg grows by 50%. Or so I think. I’m a borderline INTJ/ENTJ. I’m getting more “I” as I gain more seasoning. I really like the 3% rule and I think it is very practical. I currently make around $33,000/year but my expenses are $12,000/year. Assuming I had $750,000 saved I could easily withdraw 3% each year and live off of the $22,500. I am not even counting all the interest/dividends that all of that capital is making. The only question is how long is it going to take me to save $750,000? Well I am 29 years old now and the goal is before the age of 55. I think this is reasonable but I would love to cut it down to 50. Thanks for sharing Jacob! I want to offer some wisdom on ‘Retiring’ Young. What you want now, at 25, 30, 35, will change over the course of your life. Your values, needs, wants, priorities will change. It happens to everyone. What you need to plan for is that what you think of as ‘Retirement’ now, may not be a good fit for you. In fact it may be the worst idea ever. When I left it all behind I first moved in with traditionally retired relatives in Arizona. I did what they did, lived near them. I can not think of a more dire or dreadfully boring existence. I lasted fewer than 3 months. Turns up that what I thought of as ‘Retirement’ was a MASSIVE MISTAKE for me and my values at 47. I hate golf. Ugh. I strongly, STRONGLY, suggest that whatever goal you have for retirement, that you take 3 months to 12 months off in your mid to late 30’s to see if that is what you want. Test it out. Give it a spin. See if that is the goal you *really* want to go for. I can think of NO greater tragedy than someone who works 45 years to attain a goal and then after 10 days realises that they do not want what they sacrificed decades of life to get. Give yourself a practice retirement, first. Whatever that is FOR YOU. Try it out. Do that for 3 months to a year. See if you REALLY want to do that. Do this before age 40, give yourself a sanity and reality check. I am living in Slovakia and here we have different possibilities as in USA or UK. I am also trying to save a lot of money to retire early. But under retirement I mean exit my fulltime job and continue working on my own projects (info websites) without boss and daily travel to work. This is retirement for me. I will be 30 and I hope that in 5 years I will achieve this goal. I love ERE. What a find! I’ve just recently turned 34 and semi retired (.. !! Finally) I’ve been constanrly at this for the past 10 years straight now and I’m really glad to arrive. I originally planned to hit this mark two years from now but upon doing further math, nowmade very little difference apart from saving me a further year or two of hard work. I began buying real estate in mid 2007 after four years on low wage saving a small deposit and things snowballed ever since. Bought a second apartment 1 year later and a house one year later, then another that same year. Sat on those knowing that given time the rents go up and most importantly the values in Australia climb steadily. I receive all my working year’s tax baxk for ‘losing’ money while the capital grew by around 8% per year. When I did sell, the absolute max tax I paid was 23% because of the 50%CGT exemption made huge sense to me while workers paid as nuch as 47.5% tax on their income. 1) Pay off your debts as fast as you possibly can. If this means living in a crappy studio apartment and eating ramen everyday for a couple of years, do it. If you want to buy a car, get a reliable beater. Get insurance for $25/month from 4AutoInsuranceQuote. Forget about buying a house until your debts are paid off. 3) If you are going to stay in the same spot for at least 10 years, buy a house, preferably with at least a little bit of usable land. An acre is good, 5 acres is better. Take the amount you are pre-approved for and cut it in half – that’s how much you should spend on a house. Come to the table with at least 20% down and make a couple of extra mortgage payments every year. If you’re going to be transferred or relocate every 5 years, forget about buying a house and rent instead. 7) Retire!- the sooner, the better. Be sure you understand that “retirement” doesn’t necessarily mean you stop working, it just means having the freedom to do what you want to do, when you want to do it. Don’t be foolish and fall into the trap of trying to measure your wealth by the value of your assets. Markets change. Valuations fluctuate. Instead, measure your wealth by the amount of cash flow your assets consistently generate.